The moves highlight the divergent ways nations are reacting to temporary exemptions from US sanctions on Iran, IRNA quoted the Wall Street Journal as saying. China’s decision to pursue lucrative deals with Tehran and deepen its presence there contrasts with a retreat by Italy and Greece stemming from fear that financial transactions and physical trade with Iran have become too difficult, according to Financial Tribune. China Petroleum & Chemical Corp., or Sinopec, told its government-owned counterpart, the National Iranian Oil Company, it wanted its share of the field’s production to be granted under the US waiver allocated to China, one person said. Sinopec is driving a hard bargain, making stringent demands, the people said. The company asked to buy equipment of its choice—made in China—and requested reimbursement for costs as soon as the new development undergoes testing, terms Iran normally refuses. While US sanctions, which went into effect in November, prevent companies from signing contracts to access new oil fields in Iran, Washington had granted exemptions allowing the purchase of Iranian oil to China, India, Japan, South Korea, Turkey, Taiwan, Italy and Greece to avoid a global oil-price spike. The Chinese company has informed the US State Department about its Iran oil business, the people said. 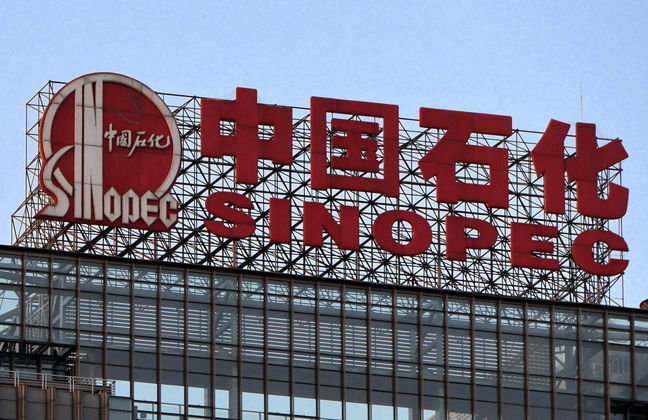 But Sinopec believes it would not run afoul of a US ban on signing a new development deals, as its proposal for further development is part of an existing contract to operate the field, according to people familiar with the matter. Late last year, after the US allowed China to keep purchasing as much as 360,000 barrels of Iranian oil a day, Sinopec proposed a $3 billion investment plan in the Yadavaran Oilfield it operates in Western Iran, according to people familiar with the proposal. The deal—if agreed—would double production at the field to 180,000 barrels a day within six months, the people said.